In December 2014, one of France’s best-known business leaders was announced as the new CEO of Christie’s, the world’s biggest auction house. 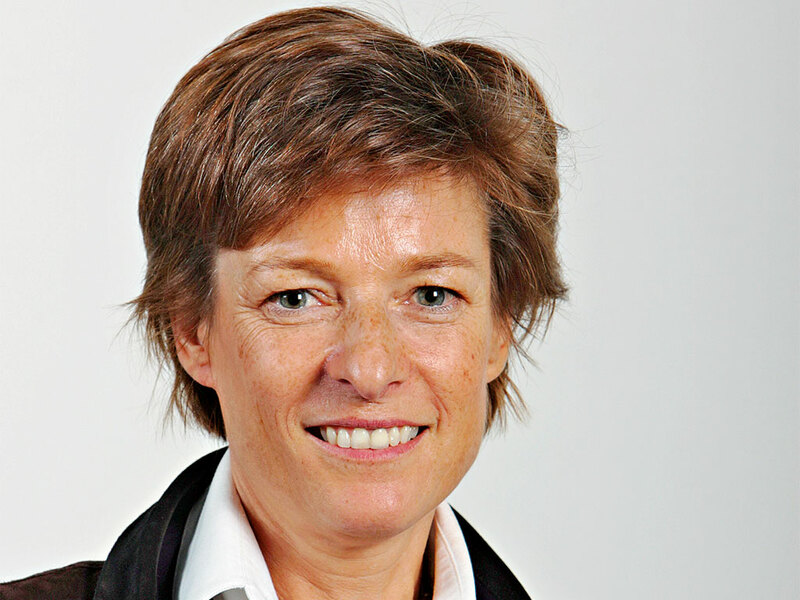 Patricia Barbizet became the first female CEO in the group’s long history. In reaction to the announcement many argued that, without prior experience in the art world, the decision for Barbizet to replace Steven Murphy was peculiar. However, when taking a closer look, the rationale behind François Pinault’s choice becomes all too clear. The daughter of an artist and a film producer, whose siblings went into theatre, Barbizet grew up in a highly cultured environment. She decided, however, to split from the somewhat expected family path, choosing to enter the business realm. After studying at Paris’s ESCP Europe Business School (being among the first 20 women to do so), Barbizet joined Renault’s finance department in 1977. For the next 15 years, she spent her time climbing the ranks at the automobile giant, until becoming the CFO for Renault Crédit International and director of Renault Acceptance. A pivotal moment in Barbizet’s career then came when she started a decades-long partnership with luxury goods magnate François Pinault. When Barbizet joined the Pinault Group in 1989 as CFO, the company specialised in timber trading. With her help and talent for striking deals, it was transformed into the French powerhouse Kering, as it is known today. Barbizet also serves as CEO of Artémis, the Pinault family’s holding company, where she has effectively navigated even the most difficult times, most notably during Pinault’s prosecution for the contentious acquisition of Executive Life. In 1998, Barbizet negotiated Artémis’ acquisition of a 26.4-percent stake in Christie’s, the world-renowned auction house, which was shortly followed by a buy-out of the remaining shares in a £752m deal. Following years of dedicated service and support, in 2014 Pinault made Barbizet one of the most influential people in the art world by announcing her as his chosen replacement for Steven Murphy as Christie’s CEO. The announcement caused quite a stir. Under Murphy, formerly a big player in publishing, the auction house underwent a period of radical modernisation from 2010 to 2014. “Over the last few years, Christie’s has ventured into new markets in India and China. It has launched successful online auction sales and positioned itself at the forefront of the digital transformation in the art market”, Barbizet told European CEO. Murphy’s $50m investment to create a new digital infrastructure for the firm pushed it into a new era, wherein growing numbers of clients could be captured digitally. While Murphy can boast of many achievements while at the helm, including Christie’s strongest ever year in terms of sales in 2014, he has also been charged with diminishing the company’s profitability to concerning levels. According to The Wall Street Journal, despite a record $8.4bn in sales at auction in 2014, the company’s overall profit margin dropped to 10.7 percent from 15.3 percent. This can partially be attributed to ongoing competition with the group’s closest rival, Sotheby’s. Under Murphy, Christie’s began sacrificing commissions and guaranteeing prices for sellers, regardless of the outcome of a sale, both of which secured valuable market share but chipped away at profits. Although this approach worked to an extent, it placed too great a strain on the London-based auctioneer, and is rumoured to be the principal reason behind the management overhaul. These evenings offer attendees a deeper understanding of the themes on show, and a fresh perspective for established art collectors. Bringing together different artworks in a cohesive way allows a story to be told, which is proving to be attractive to young buyers, and thus acts as a means for establishing valuable long-term relationships. “Serving our clients is key to everything we do, so we are vigilant [in tracking] the trends they follow. We have, therefore, among other initiatives, disrupted the traditional sales calendar and revamped our strategic partnerships model so that it is fully integrated into the marketing side of our business.” Presentation at such events has also improved drastically in recent years, forming a crucial platform for branding, which in turn helps differentiation in such a highly competitive industry. Under Barbizet, Christie’s has continued to go from strength to strength. During her first year at the helm, the firm was responsible for the auction of 2015’s three most expensive works: Pablo Picasso’s record-breaking Les femmes d’Alger (Version O) for $179.37m, Nu couché by Amedeo Modigliani for $170.4m, and Alberto Giacometti’s L’Homme au doigt, which sold for $141.29m – all at curated evenings. In fact, last year saw sales of $7.4bn, Christie’s second-best year on record. Impressionist and modern pieces performed particularly well, growing by 57 percent from the previous year to $2bn, while sales in the Americas rose by 19 percent to $3.6bn. With a greater focus required for commerciality, Pinault’s appointment of a business leader, as opposed to an art expert, in fact makes perfect sense. That said, Barbizet’s knowledge of the industry is not to be underestimated; she is a fan of contemporary art herself, often buying pieces for her own collection. It is also worth mentioning that she is currently on the board of directors for Total, France’s highest profit company, as well as for PSA Peugeot Citroën, the country’s biggest car manufacturer. Quite simply, Barbizet’s influence on French industry within an international context is nothing short of extraordinary. Her known efficacy in big business and her reputation for skilfully negotiating big deals make her the ideal leader to steer Christie’s through this vital time in its history. In fact, Barbizet’s ability to boost profits and rationalise a firm makes her one of the most formidable players in European business. In closing, Barbizet described success to European CEO as “never sitting back and saying ‘we did it’, but continuing to look at how we can innovate and continually improve”. And, as demonstrated by her continuing success, there is indeed no stopping Patricia Barbizet.